GIVEAWAY!! Be sure to leave a comment on this post for a chance to win one of three $25 BoBunny prizes. Winners announced the week of December 19-23, 2016. Good Luck! It's Ayumi here and today I'm sharing my projects for this hop. 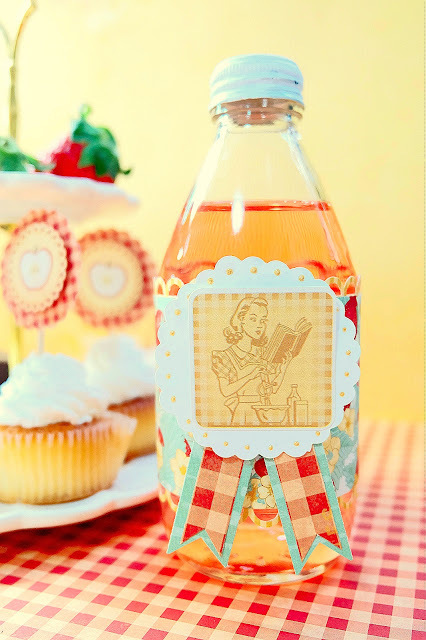 I've created party themed items using BoBunny's Kiss the Cook collection with 3L adhesives. I used several products from 3L adhesives. I made several party items using E - Z Runner, 3D FOAM SQUARES. 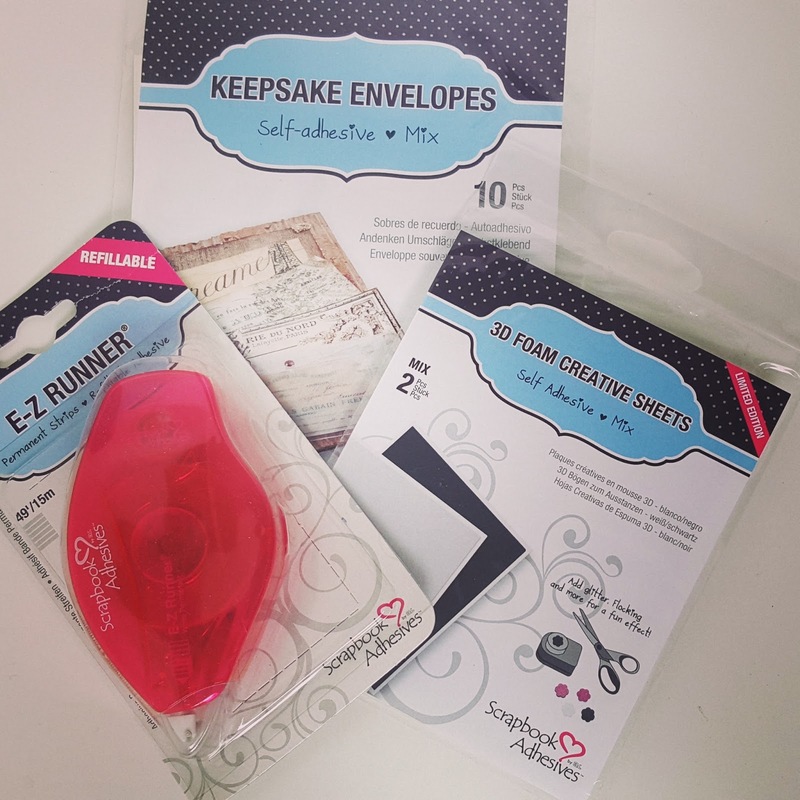 The E-Z Runner can quickly and easily affix paper to your projects. 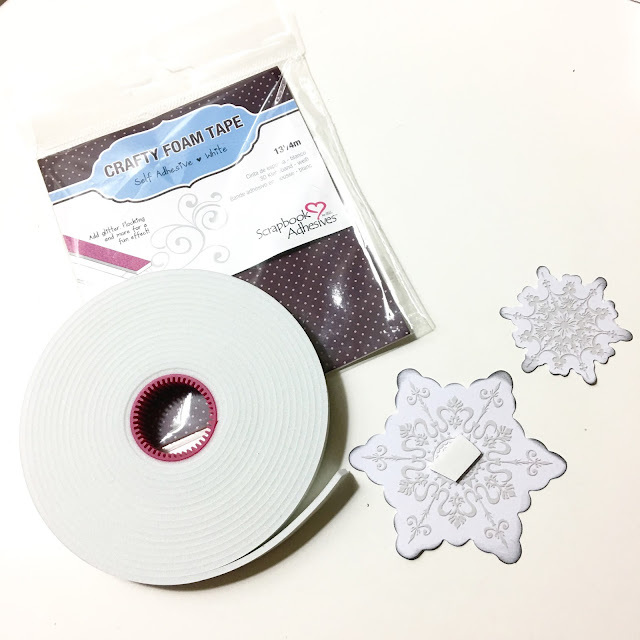 3D FOAM SQUARES makes it easy to create embellishments and decorations with depth and dimension. Thanks for joining me today. Have a fabulous day! Hello my Bo Bunny Friends! It's Amy and I'm here to share my layout for the hop. I hope you are excited to see all these creations from my team and I.
I was so excited to see the 3L Adhesives as part of this blog team up! 3L is by far one of the best adhesives out in the market. I used the 3D foam to create layers. It sticks so well over the acrylic paint and Structure Paste from Pentart. 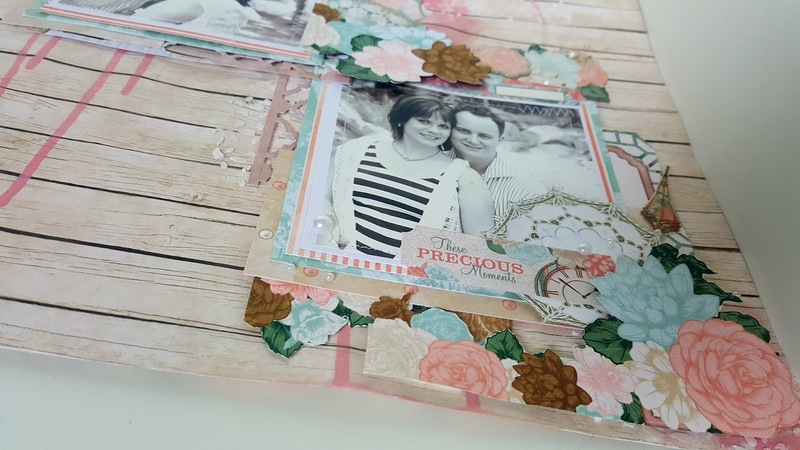 I hope you enjoyed my layout using the gorgeous Felicity collection! 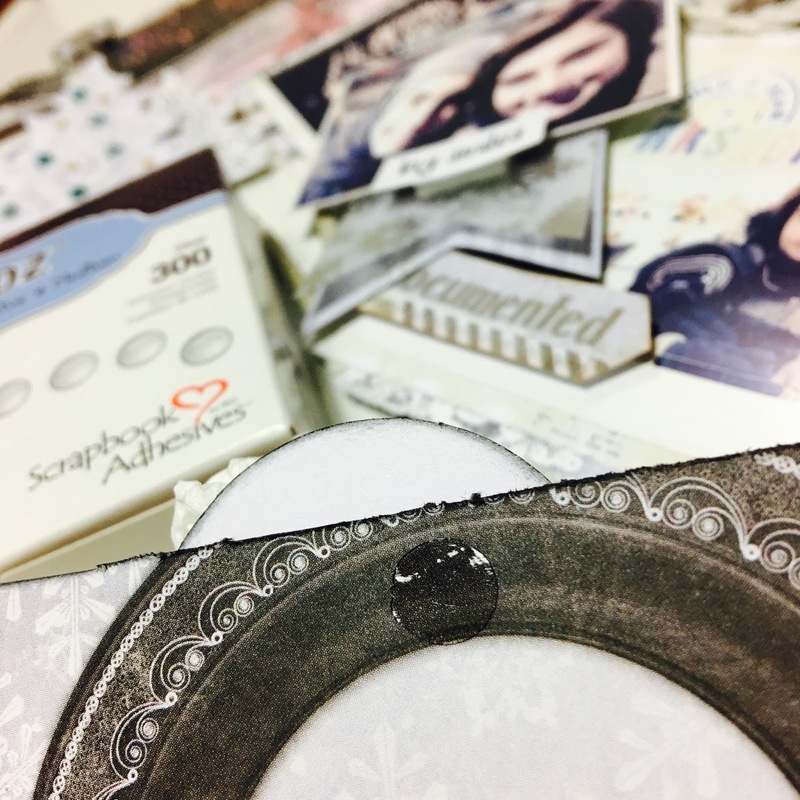 It's Angela here and now it's my turn in the blog hop. I want to show you what I've made for my son to decorate his room for Christmas. A few weeks ago we spent a few days in Copenhagen. It was the end of November and everywhere was a Christmas decor! But the most wonderful experience has been Tivoli, an entertainment park in the typical North European style. It seemed to be the North Pole and the air smelled of Christmas! Well, my youngest son Filippo fell crazy in love with all that. That was a Christmas tree I made for the school a few years ago. I decided to give it a second life and renewing it with some strokes of paint. Just a few and it was beautifully shabby. 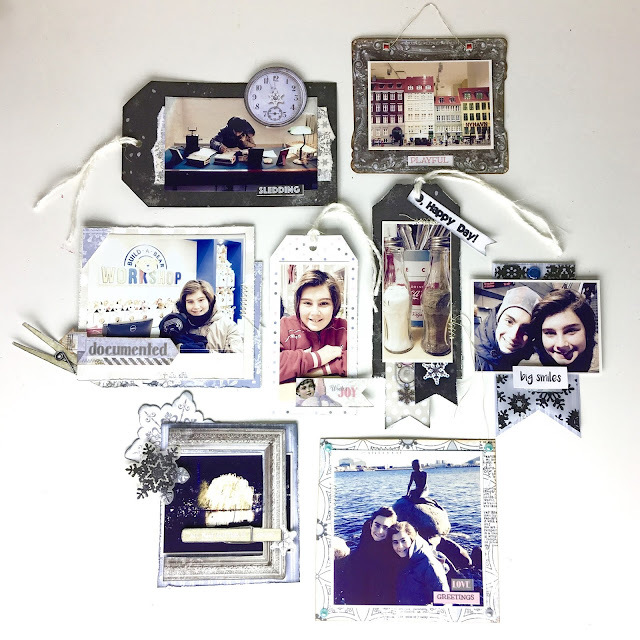 Then, I gathered pics of the trip and embellished them with the perfect matching collection Winter Wishes. I made a mat for each photo using papers and die-cuts. To give dimension, I used a lot of 3L foam tape. The one in roll was perfect to customize the size I needed. Here you can better see the final result of the embellished photos. To attach the photos to the wood tree I used dots of 3L Dodz, very sticky! They perfectly adhere to the wood and also they allowed me to detach them easily, without ruining the paper. That's important to me since I'm planning to make a mini album with all these pieces after Christmas time. Do you like the idea? Let me know what you think about it leaving a comment below. Thanks for stopping by and don't forget to meet the other DT members and their stunning projects. Winter Wishes papers: Wonderland, Snowfall, Magic, Flurries, Icicles, Chill, Glistening, Winter Wishes. Lovely makes! I love that tree!! Very nice! I love the tree. Love all the projects !! The Christmas tree is a clever idea. put away after Christmas either. 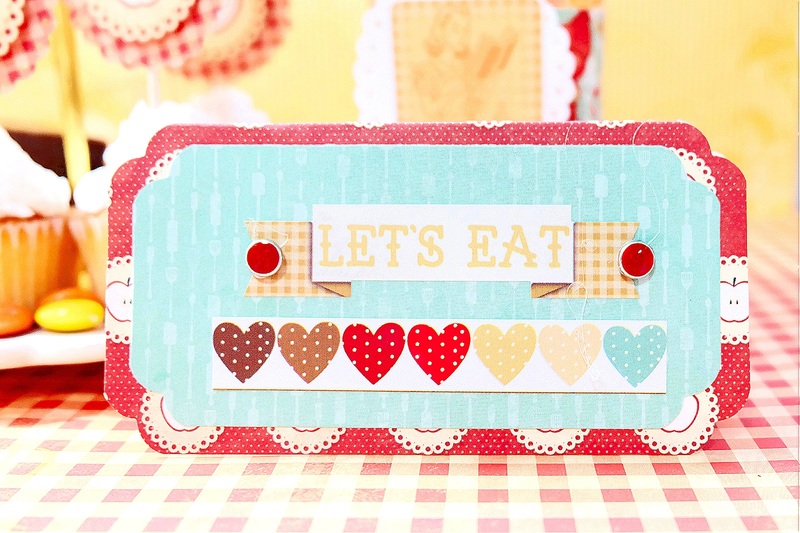 Ayumi's projects are so bright and colorful. thanks for sharing so many great ideas. Three great projects! You really can't miss wth Bo Bunny and 3L! Amazing creations! Love the Christmas tree--wow! Each project is different and unique from the others. We can't create anything without our trusty 3L adhesive! but my favorite is the Angela's tree! My goodness! 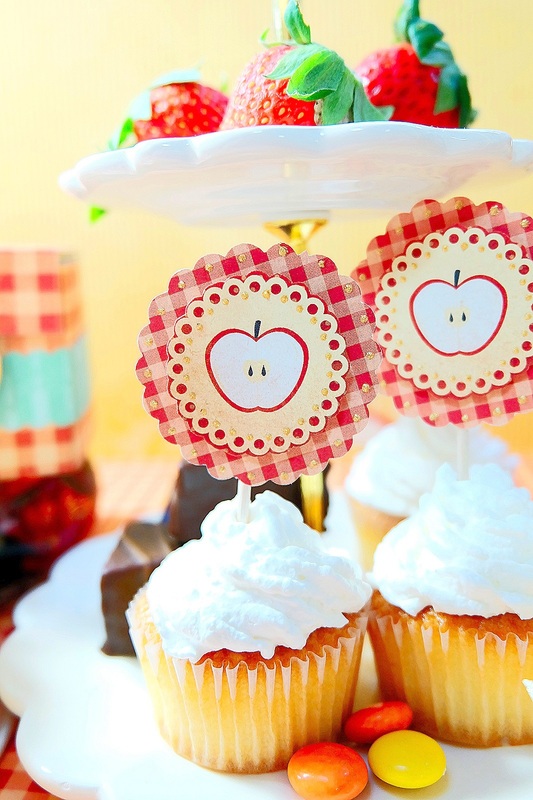 Such great ideas for the Welcome Party! 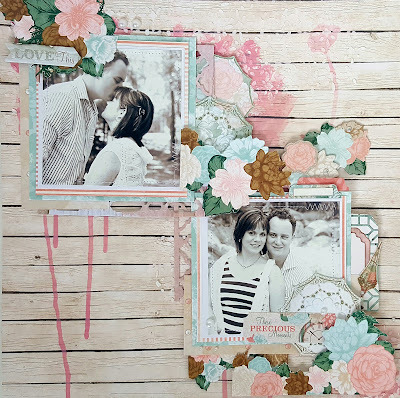 Such a delightful engagement layout! 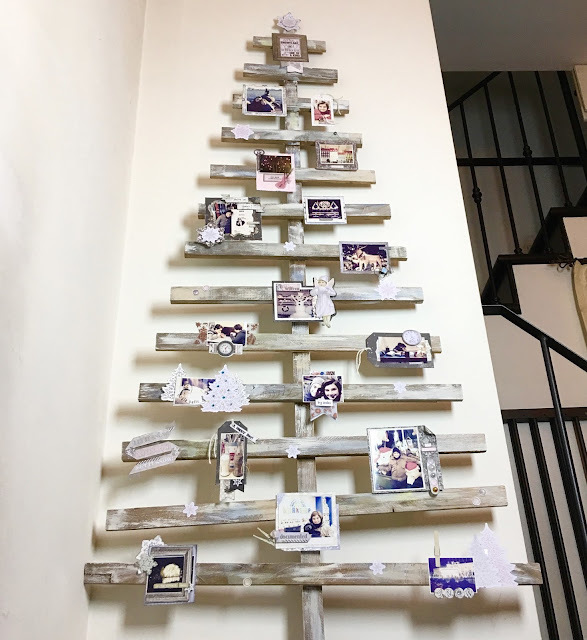 The tree with embellished photos is a masterpiece! This is a great match up! What great projects! I love the Kiss The Cook collection! I try to include recipes of something we ate in countries we visit in my scrapbooks and the papers are perfect! The tree is fabulous! It takes up no room at all and what a great way for your son to show friends his fun trip! I want ALL of your fabulous projects to decorate my home!! Pinning away and haven't ever seen so much gorgeousness on one blog post! 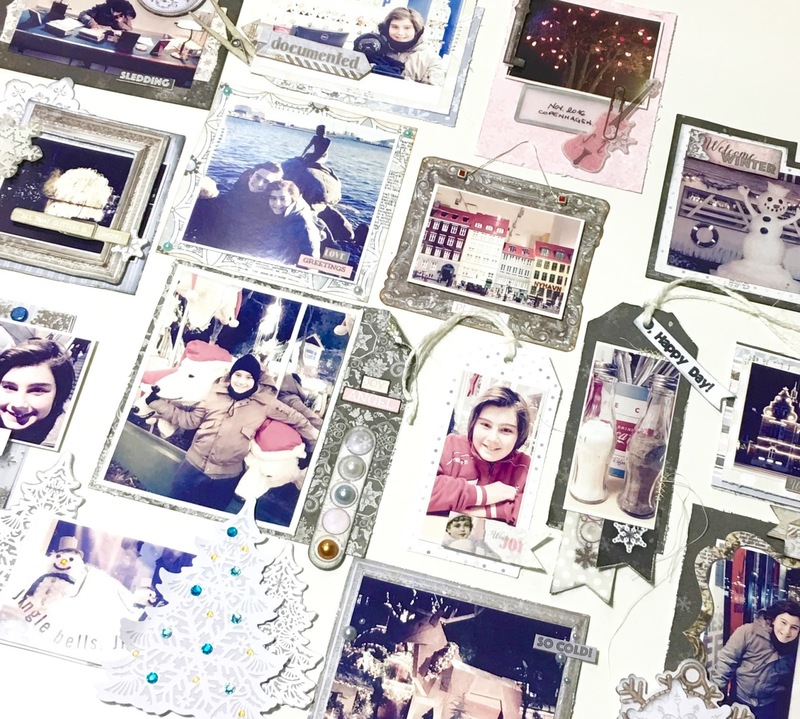 What a fun party, gorgeous layout and fabulous wall collage!! Fab ideas!! Darling projects! 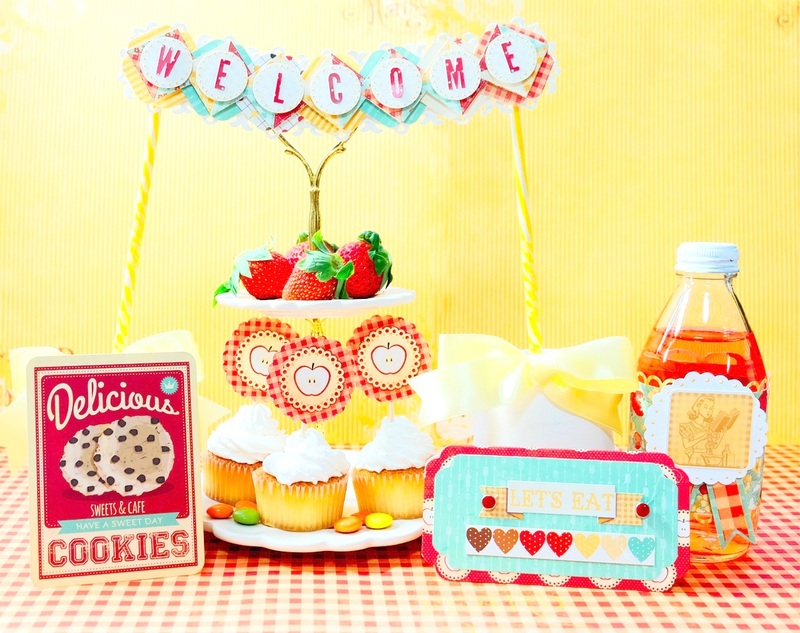 Love the bright, happy colors and images on the party set, and the Felicity collection layout is gorgeous! What FUN!!! 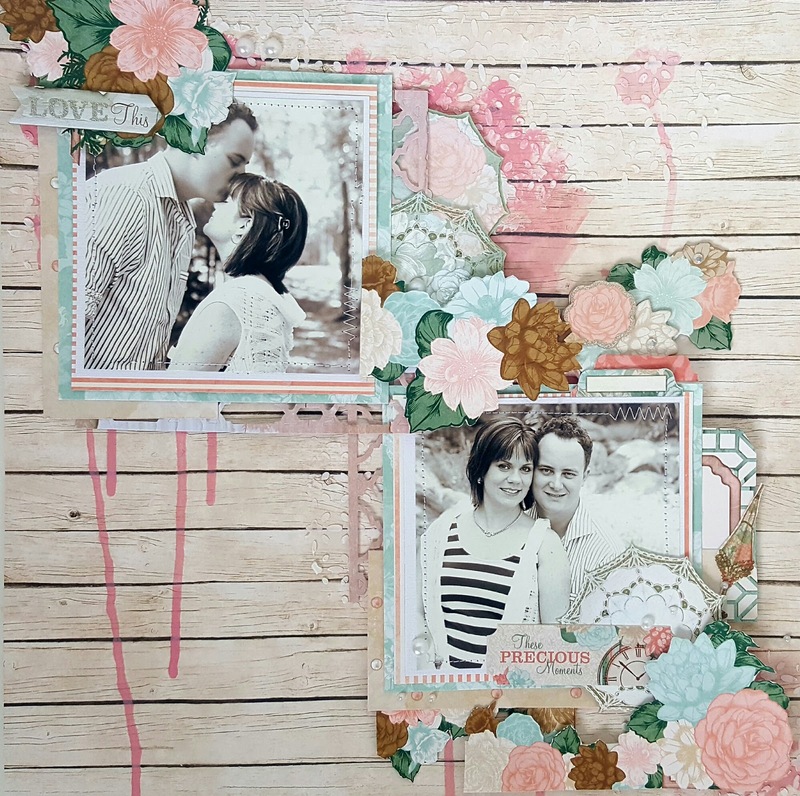 These projects are just darling! TFS! Fabulous! Adore the Welcome Party!! Your projects are awesome. 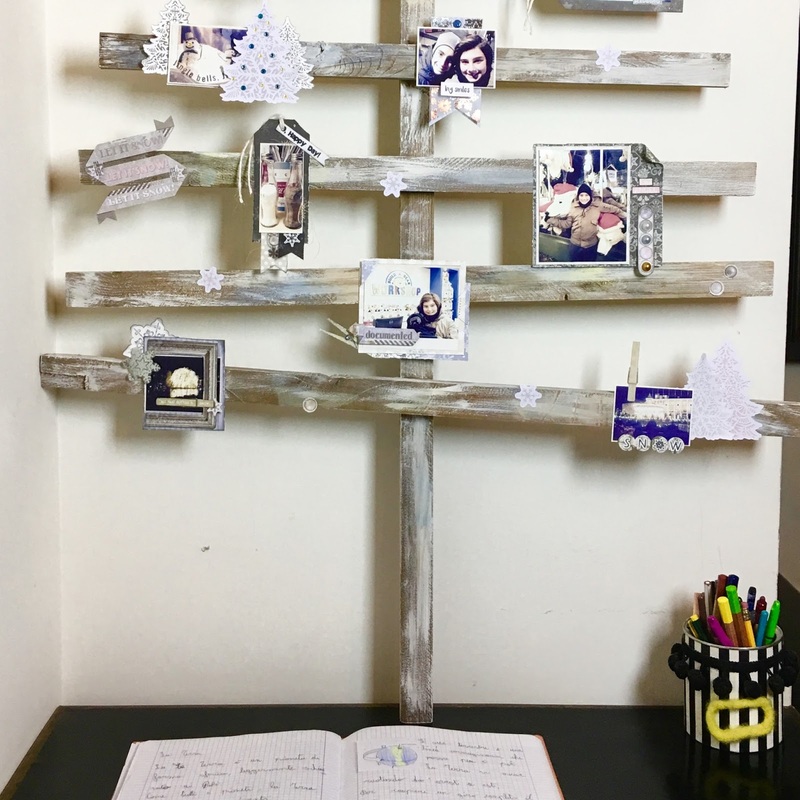 Love the party ideas and the tree is something I have to try. Thanks for the inspiration. Beautiful projects. Love the photo tree. So creative. Oh my goodness!!! Such delightful projects!!! Really amazing!!! Fun party projects and pretty layout! Love that awesome wall tree!